Six more posts to go to reach my 20 MoFo posts goal! I didn't really think I was going to make it! Thank you so much for all your nice comments! 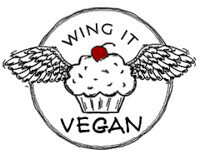 Some of you guys wanted the recipe for the vegan whipped cream, so I'm planning another Halloweegan post for next week using whipped cream and I'll post a recipe then. I always eyeball things, so you know how that goes. The dinner ghosts I had intended to make had to wait until next week because we were out of potatoes, so instead I made some little Witches' Hats. The idea came from the Betty Crocker website. Here's how it all went down. 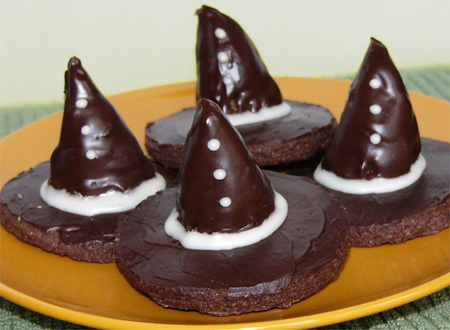 I made my chocolate shortbread cookies as the base for the hats. While they were baking I prepared the pointy tops. Sorry, I'm sure hat parts have fancy names that fancy hat people know, I'm not a fancy hat person so I will be calling them pointy tops. Use an electric mixer on high to mix everything together. Mix for about a minute or until the peanut butter starts to look a little dry and not as creamy. To make the cones, either use a pastry bag to squeeze them out onto a plate, or shape them into cones with your hands. Dip the cones into some melted chocolate chips (about 1/2 cup) and chill until the chocolate hardens. I decided to spread some melted chocolate on top of each cookie too, which helped keep the cones in place when I placed them on the cookies. The buttons and rim are a simple confectioners sugar icing. Of course you could take the easy way out and add some cocoa powder to the peanut butter mixture to make it dark, then you wouldn't have to dip the pointy tops in melted chocolate. But then again, where's the fun in that? this post makes me want to sing the song "Witchy Woman"! Very nice. 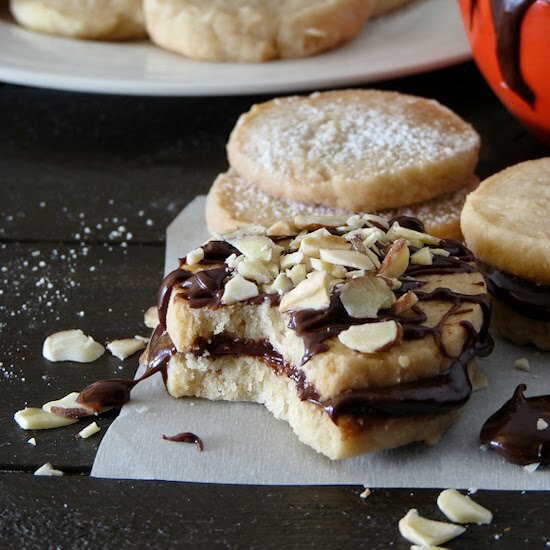 They are sooo cute AND they are pb and chocolate - wonderful! Yay more vegan treats! These look so good- I want to eat everything you bake!! if there is a price for most creative halloween baking of 2008, you should get it, River. Could you please move to France and be my neighbour and make these lovely treats to share? Oh I LOVE LOVE LOVE these pointy cone witches hats. Funnily enough I have just searched my house high and low looking for my real witches hat and do you think I can find it?? I like yours better but they wouldn't last long atop my head 'cos I'd scoff them up straight away. Bowing to the queen of Halloween treats! I have to ask, though... Who gets to eat them? I wish you were my neighbor too. I love Halloween witches! These are perfect. Perfect for a PB loving chocolate freak like me! what adorable witch hats, River! i really love them! peanutbutter cups sweetened with maple syrup sounds absolutely divine! we have all those ingredients at home, so perhaps we'll have to make some this weekend as a yummy treat! thank you! :D wahooooooooooo for more halloweegan awesomeness, River! superw00t! It boggles my mind how you keep coming up with these special little treats! There isn't really anything more tasty then peanut butter and chocolate too! peanut butter and chocolate. mmmmmmmmm! I love Pretty Woman! Whenever it shows up on TV as a movie of the week, I get so excited. As usual, these are adorable. I, for one, cannot wait for that whipped cream recipe!!!! Hope to see your comment on my new post... =D I'll appreciate it VERY MUCH...!! My aunt is throwing a Halloween party for the class of my twin cousins (9-year-olds)... I gave her the link to your site! Can't wait to see the last 6! You rock! :D Way to spoil us!! YUM! ahh you have so many cute halloween treats to choose from i don't know what to make first! so many adorable Halloween ideas! You are an evil woman for posting all these decadent recipes, but I would still like to be adopted by you. those hats are super cute! I love the white dots on the hats.